Are Online Videos a Part of Your PR Strategy? PR firm owners know the scene. They land a new account and sit down with the buyer(s) for an initial strategy session. After exchanging niceties PR firm owners reach into their portfolio and offer a package of services that would best align with the client’s goals and/or financial objectives. Assuming budget is available PR executives suggest that, as part of the campaign/project, the client include online video programming (e.g. a video message from the CEO or short documentary featuring some of the company’s partners or the people who run the supply chain). Depending on the client (and the sector she represents), the response to the online video pitch could range from, say, Let’s rock and roll and get started, to easy listening (but no action or commitment), to radio silence. But skepticism among your clients about using new PR channels like online video should be rewarded with hard data. Part of building healthy relationships with clients is to educate them on the ongoing and accelerating changes in both media consumption and consumer behavior. Online video and visual communications lie at the nexus of both areas. According to eMarketer, the digital video audience will grow 8.2 percent this year, while the share of global Web users who watch digital video will increase to 63 percent in 2020 (from 62 percent in 2017). What is more, online video will account for 74 percent of all online traffic this year, per KPCB. Here are some other juicy stats regarding online video (hat tip to Insivia). From the savvy PR firm owner’s point of view, resistance to online video is futile. But from where some buyers sit online video remains a tough sell, particularly for b-to-b buyers and industrial-type clients not easily swayed by what’s considered in vogue. New marquees. Social media video venues are starting to pop up like mushrooms, giving clients more opportunities to distribute online video content via social platforms. With the recent introduction of Facebook Live and Instagram Stories, for instance, live video is also gaining speed. Twitter late last year expanded video tweets for up to 140 seconds (which is ample time to deliver a pointed message) while YouTube remains the primary vehicle for branded video channels (which requires more control and commitment). Reasonable budgets. 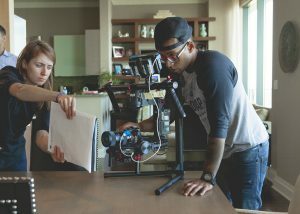 Mention using online video and some clients automatically envision a large set, lighting, actors (none of which come cheap) and overrun budgets. But producing online video content is not cost prohibitive. Hardly. A decent camcorder and tripod won’t hurt you in the pocket. Nor will hiring a dedicated (or part-time) videographer who schooled on online video and has a flair for visual communications. Sends a larger message. By acting on online video programming the client is able to send a sharp message to his and her audiences that the company is keeping pace with the market and using different media to promote its relationships. PR firm owners need to disabuse clients of the notion that online video is the sole domain of mega brands and organizations. What’s more, your clients’ audiences increasingly view online video as a way to measure companies’ relevance and reputation. What are your recommendations for clients regarding the use of online video content? We’re certainly big believers in the value of online video. We continue to build our Inside Edge Video channel, with a slew of new videos slated to be released this summer. We’re also eager to work with PR firms and creative agencies that are bullish on online video. Case in point: Earlier this month, Rick Gould, CPA, J.D., managing partner of Gould+Partners, took part in a new online video titled, “The Future of PR,” which is being produced by Atlanta-based ARPR under the guidance of the firm’s founder and CEO, Anna Ruth Williams. The video, which explores myriad opportunities and challenges for the PR industry, will be released later this spring. We look forward to sharing.